Follmann, R., Goldsmith, C. J. and Stein, W. (2016). Spatial Distribution of Intermingling Pools of Projection Neurons with Distinct Targets: A 3-dimensional Analysis of the Commissural Ganglia in Cancer borealis. J Comp Neurol 31(6-7): 497-507. Städele, C. and Stein, W. (2016). The Site of Spontaneous Ectopic Spike Initiation Facilitates Signal Integration in a Sensory Neuron. J Neurosci 36(25): 6718-67. Stein, W., Städele, C. and Smarandache-Wellmann, C. R. (2015). Evolutionary aspects of motor control and coordination: the central pattern generators in the crustacean stomatogastric and swimmeret systems. In: Schmidt-Rhaesa, A., Harzsch, S. and Purschke, G. (eds). Structure and Evolution of Invertebrate Nervous Systems, Oxford University Press. Yarger, A. M. and Stein, W. (2015). Sources and range of long-term variability of rhythmic motor patterns in vivo. J Exp Biol 218(Pt 24): 3950-3961. Follmann, R., Rosa, E. and Stein, W. (2015). 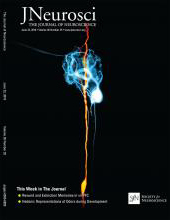 Dynamics of signal propagation and collision in axons. Phys Rev E Stat Nonlin Soft Matter Phys 92(3): 032707. Stadele, C., Heigele, S. and Stein, W. (2015). Neuromodulation to the Rescue: Compensation of Temperature-Induced Breakdown of Rhythmic Motor Patterns via Extrinsic Neuromodulatory Input. PLoS Biol 13(9): e1002265. Rosa, E., Jr., Skilling, Q. M. and Stein, W. (2015). Effects of reciprocal inhibitory coupling in model neurons. Biosystems 127: 73-83. Goldsmith, C. J., Stadele, C. and Stein, W. (2014). Optical imaging of neuronal activity and visualization of fine neural structures in non-desheathed nervous systems. PLoS One 9(7): e103459. Soofi, W., Goeritz, M. L., Kispersky, T. J., Prinz, A. A., Marder, E. and Stein, W. (2014). Phase maintenance in a rhythmic motor pattern during temperature changes in vivo. J Neurophysiol 111(12): 2603-2613. Stein, W. (2013). Sensory Input to Central Pattern Generators. In: Jaeger, D. and Jung, R. (eds). Encyclopedia of Computational Neuroscience, Springer. Preuss, S. and Stein, W. (2013). Comparison of two voltage-sensitive dyes and their suitability for long-term imaging of neuronal activity. PLoS One 8(10): e75678. Diehl, F., White, R. S., Stein, W. and Nusbaum, M. P. (2013). Motor circuit-specific burst patterns drive different muscle and behavior patterns. J Neurosci 33(29): 12013-12029. Daur, N., Diehl, F., Mader, W. and Stein, W. (2012). The stomatogastric nervous system as a model for studying sensorimotor interactions in real-time closed-loop conditions. Front Comput Neurosci 6: 13. Stadele, C., Andras, P. and Stein, W. (2012). Simultaneous measurement of membrane potential changes in multiple pattern generating neurons using voltage sensitive dye imaging. J Neurosci Methods 203(1): 78-88. Hedrich, U. B., Diehl, F. and Stein, W. (2011). Gastric and pyloric motor pattern control by a modulatory projection neuron in the intact crab Cancer pagurus. J Neurophysiol 105(4): 1671-1680. Stein, W., Stadele, C. and Andras, P. (2011). Optical imaging of neurons in the crab stomatogastric ganglion with voltage-sensitive dyes. J Vis Exp(49). Stein, W., Stadele, C. and Andras, P. (2011). Single-sweep voltage-sensitive dye imaging of interacting identified neurons. J Neurosci Methods 194(2): 224-234. Stein, W. and Andras, P. (2010). Light-induced effects of a fluorescent voltage-sensitive dye on neuronal activity in the crab stomatogastric ganglion. J Neurosci Methods 188(2): 290-294. Hedrich, U. B., Smarandache, C. R. and Stein, W. (2009). Differential activation of projection neurons by two sensory pathways contributes to motor pattern selection. J Neurophysiol 102(5): 2866-2879. Stein, W. (2009). Modulation of stomatogastric rhythms. J Comp Physiol A Neuroethol Sens Neural Behav Physiol 195(11): 989-1009. Ausborn, J., Wolf, H. and Stein, W. (2009). The interaction of positive and negative sensory feedback loops in dynamic regulation of a motor pattern. J Comput Neurosci 27(2): 245-257. Hedrich, U. B. and Stein, W. (2008). Characterization of a descending pathway: activation and effects on motor patterns in the brachyuran crustacean stomatogastric nervous system. J Exp Biol 211(Pt 16): 2624-2637. Stein, W. and Ausborn, J. (2008). Wenn das Ganze mehr als die Summe seiner Teile ist - Der Einsatz von Computermodellen zur Detektion emergenter Eigenschaften. Bioforum 5: 49-51. Smarandache, C. R., Daur, N., Hedrich, U. B. and Stein, W. (2008). Regulation of motor pattern frequency by reversals in proprioceptive feedback. Eur J Neurosci 28(3): 460-474. Stein, W., Straub, O., Ausborn, J., Mader, W. and Wolf, H. (2008). Motor pattern selection by combinatorial code of interneuronal pathways. J Comput Neurosci 25(3): 543-561.